National Pet Week starts Sunday, and not a moment too soon. An estimated 4 million shelter animals are euthanized each year because of a lack of space and resources. So what better time to think about rescuing a dog? Your family could add a cherished member. But you have to be careful to try to assure you pick a pooch right for you and yours. 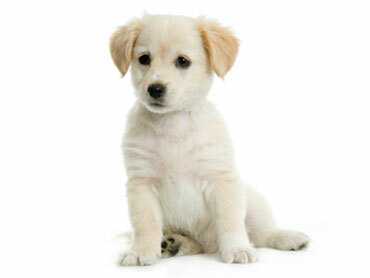 Your new canine friend can come with some issues that require patience and special training. On "The Early Show on Saturday Morning," resident veterinarian Dr. Debbye Turner Bell, who's also a CBS News correspondent, shared tips to help when you're adopting from a shelter or rescue organization. She also brought along dogs from the North Shore Animal League, in Port Washington, on Long Island, N.Y. All are available for adoption. With nearly 10 million dogs and cats in shelters around the country, according to The Humane Society of the United States, a rescue dog may be the way to go. You're providing a much needed home for a homeless animal. Shelters get new animals every day, so if you don't see something that you like, visit again at another time. First, understand your lifestyle and expectations. You should choose a dog whose own natural traits best fit your lifestyle. If you lead a busy, active lifestyle, then you want a dog that fits your household. If you want a lap dog, then don't choose a Border Collie! CCarefully look at the breeds or dogs that match your lifestyle. Spend time with each animal. Observe how the dog relates to you. Look for a "connection" with that dog. Often, the dog will "pick you" if you take the time to notice. Before you make your final choice, take the ENTIRE family to the shelter to meet the dog. Sometimes, a dog will respond differently to different people. You don't want to find out that your new pet doesn't like 5 year old AFTER you get him home! Ask about their return policy. It's important to know if you can return the dog if the adoption does not work out. Most shelters will conduct an interview with you to determine your lifestyle, resources, and dedication to providing a "forever home" for the animal. You usually will have to fill out a fairly exhaustive application that will ask questions about your employment, living situation, family members, income, other pets in the home, etc. After you've taken your newest, furriest family member home, often the shelter will call you to see how you and the new pet are doing.